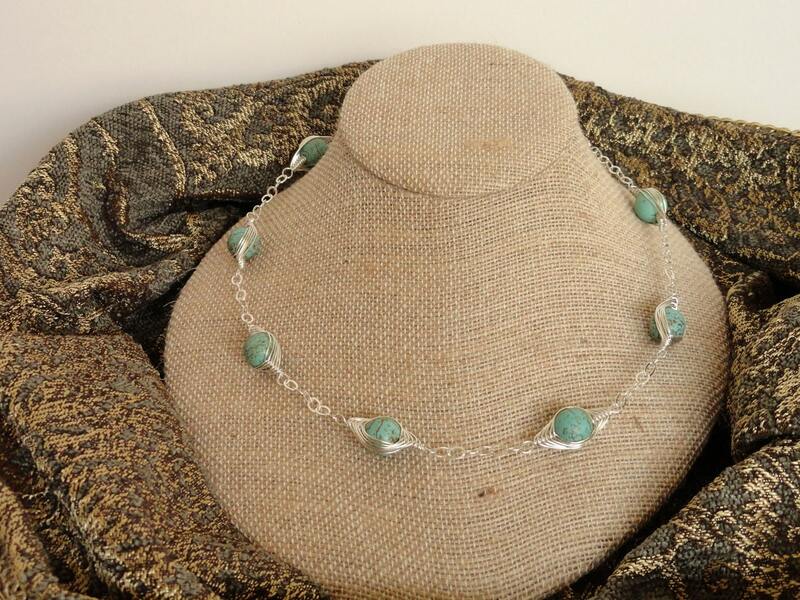 This dainty necklace catches the eye with magnesite gemstones wrapped in silver argentium wire using a herringbone wrap technique. 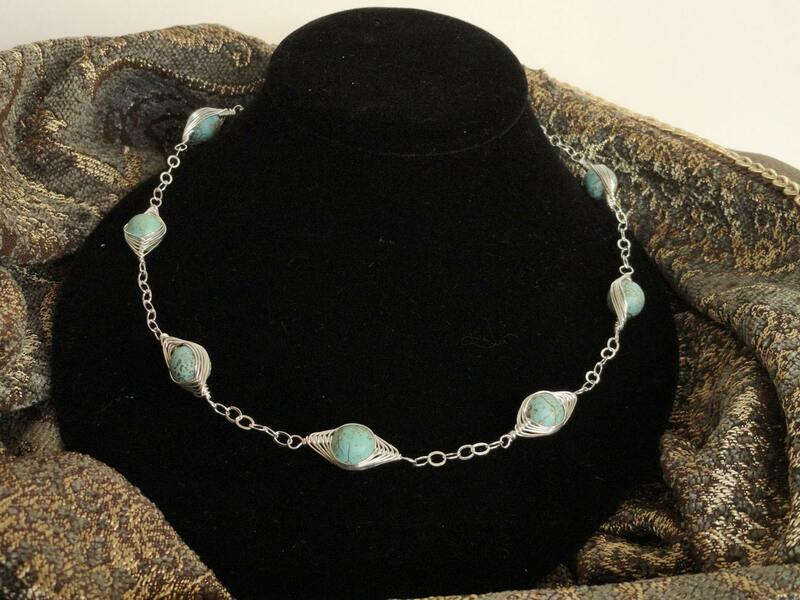 A total of eight 10mm magnesite gemstones are separated by a small sterling silver chain with a sterling silver magnetic clasp. 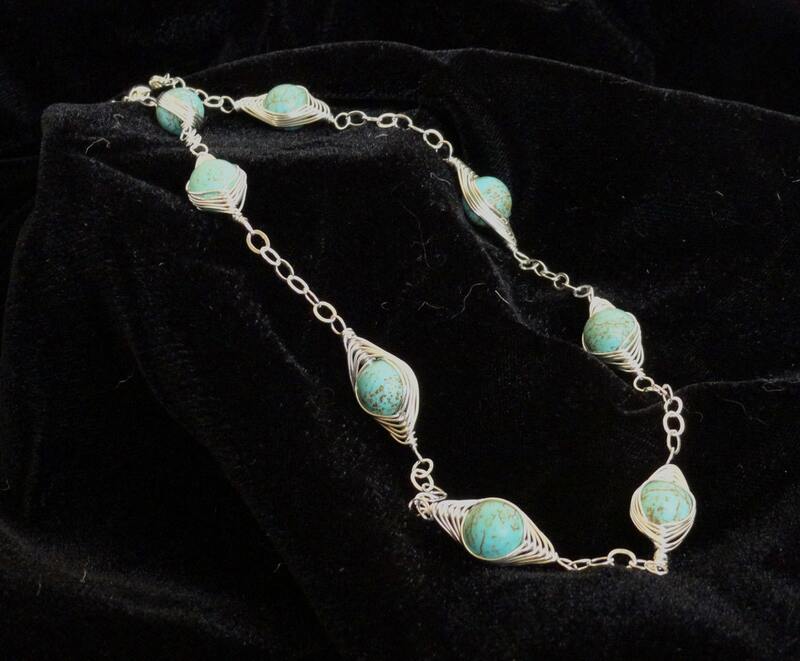 Magnesite looks much like turquoise - but not at a turquoise price.